Product information "DVD Navigation Retrofit for Audi Q7 4L - "Complete" - MMI 2G"
Bundle in order to retrofit the OEM DVD Navigation system. Suitable for the infotainment system MMI - High 2G . Uncomplicated installation due to measure exact cables. 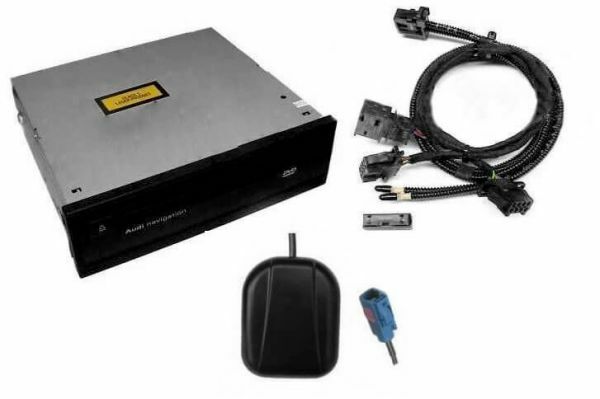 Customer review for "DVD Navigation Retrofit for Audi Q7 4L - "Complete" - MMI 2G"
Properties: "DVD Navigation Retrofit for Audi Q7 4L - "Complete" - MMI 2G"
Installation manuals for "DVD Navigation Retrofit for Audi Q7 4L - "Complete" - MMI 2G"